1. Designed with removable header. 2. Graphics on header can be printed on the both sides. 3. Used in cash register. 4. Light weight and simple to set up. Corrugated counter displays are an effective fixture to promote your prodcuts or brand, such as used in newly products launching activies, sales campaign etc. That is a great way to increase sales and make your products in an outstanding image with Meiya Display. 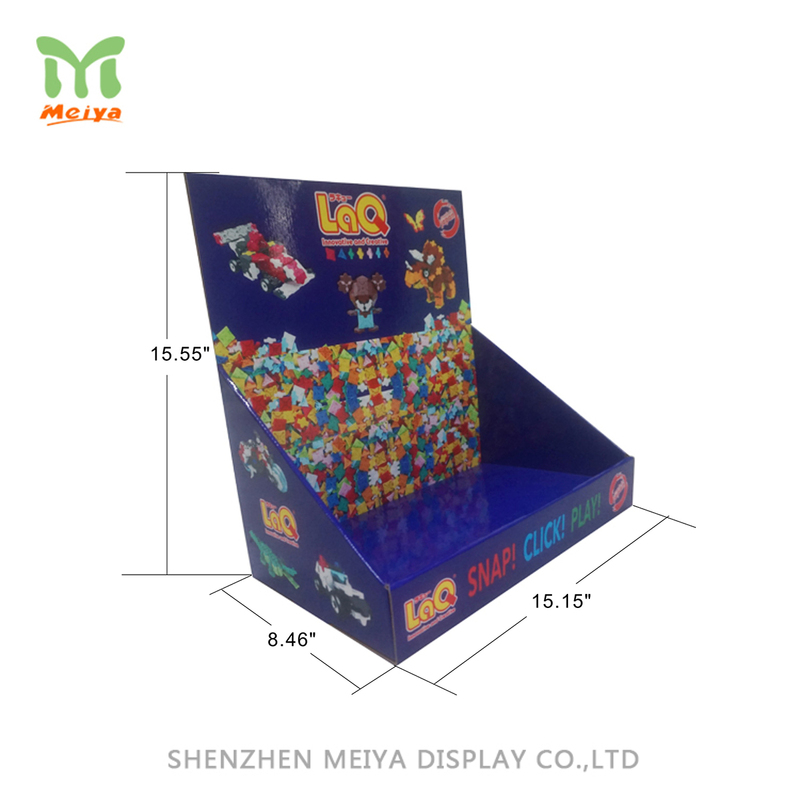 Get in touch with Meiya Display who is an expert to design, manufacture cardboard display stands.